This Crack the Code Puzzle is for high school going Teens. 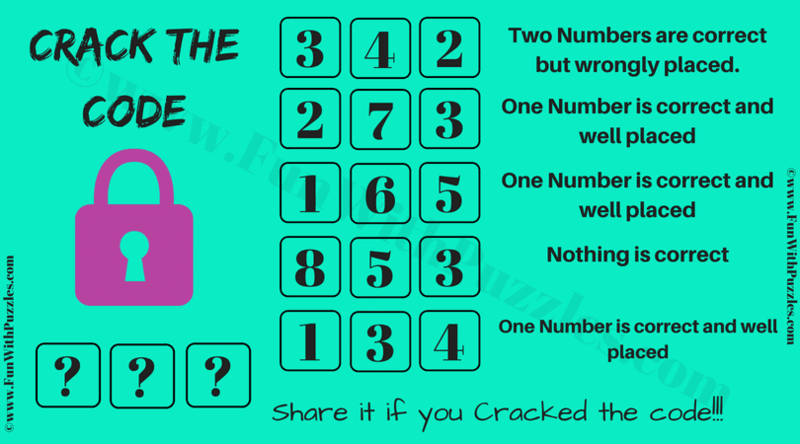 Solving this Crack the code puzzle will require lot of logical reasoning. In this puzzle, your challenge is to decode the 3 digit lock code from the given hints which will open the lock. Lets see if you can crack this code and open the lock? Can you crack the code and open the lock? Combining 1st statement and 4th statement, we get that 4 and 2 and part of the number. Second statement fixes the position of 2. 3rd statement now gives 6 which is correctly placed. So the number is 264. 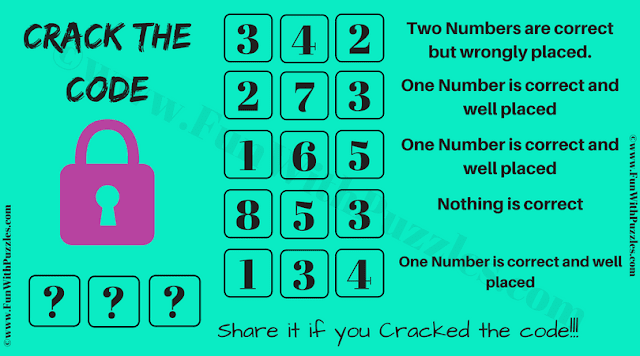 In fact there is no need of last statement to solve this crack the code puzzle.